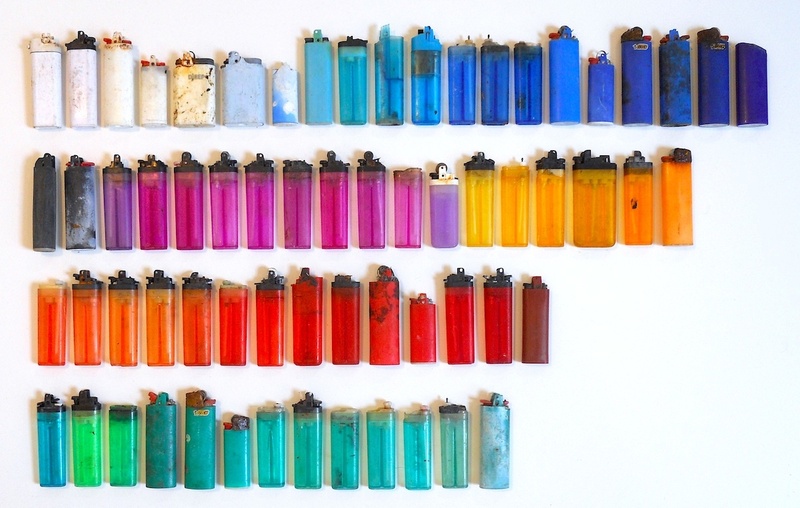 Remember Willis Elkins, the artist who collects cigarette lighters from the shores of New York City? His latest found art adventure involves not just collecting found objects, but restoring them. 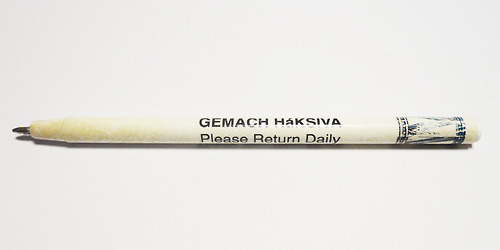 For the Jamaica Bay Pen Project, Elkins gives new life to pens that wash up on the shores of Jamaica Bay in Queens by cleaning them up and replacing the ink cartridges. Track the project here. Over the course of 10 months, Brooklyn-based artist Willis Elkins collected nearly 2000 cigarette lighters from the shorelines of New York City, documented, photographed and mapped them. Elkins, who describes himself as being “very interested in all facets of consumer culture, product disposability and the waste infrastructure,” has a number of other interesting projects on his site LESS logs. Less stands for Locate Explore Synthetic Sites. The lighter project in particular reminds me of Norwegian artist Jon Gunderson‘s contribution to the 2008 “Through the Looking Glass: From Found Object to Trash Art” show curated by Samir M’kadmi (and opened with a keynote by yours truly, still one of the coolest opportunities every brought on by everydaytrash). 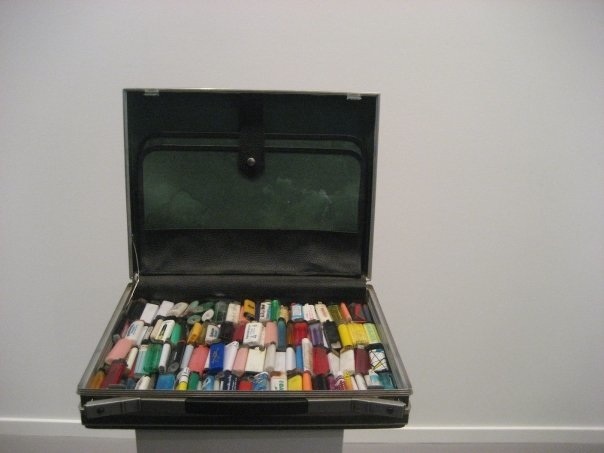 Gunderson presented a series of found briefcases each filled neatly with objects found on walks through Oslo. He had a case filled with pacifiers, one with cigarette lighters and another filled entirely with black shoe soles. Somehow organizing these everyday objects in cases and putting those cases on a row of podiums elevated their status from trash to art with social commentary. Elkins’ projects do the same. Check them out!